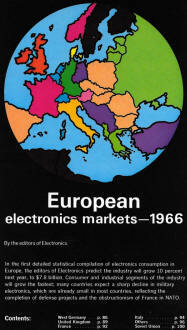 At the end of 1965, Electronics magazine printed an analysis of the state of the electronics markets in Europe (before there was a formal European Union). 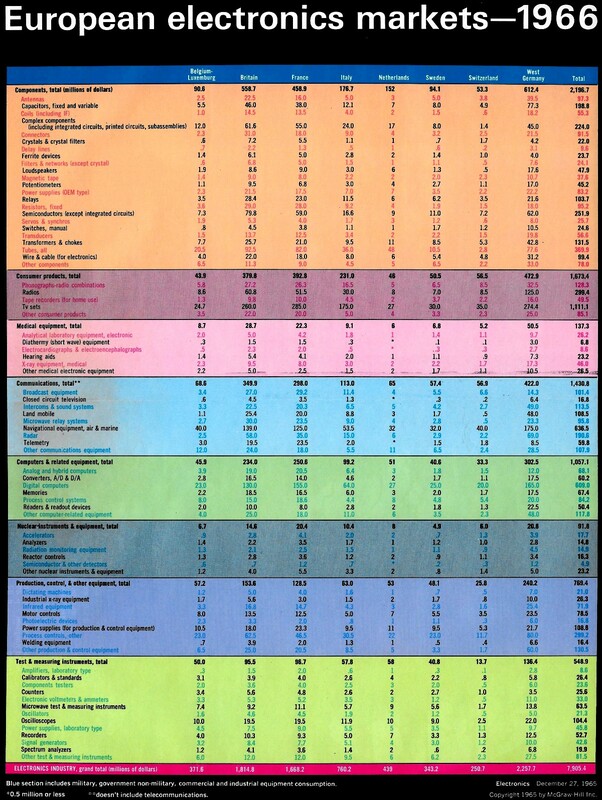 The authors predicted a whopping 10% increase to $7.8B for the combined consumer, commercial, and military markets. 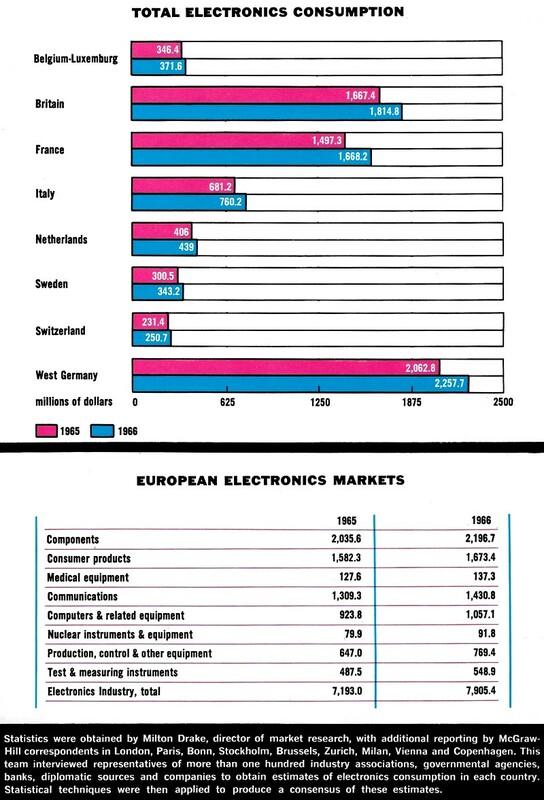 As a comparison of then versus now, Statistica claims a 2018 European Union consumer electronics market of $59B ($64B in 2019), and EE Times reports a $15B defense electronics market for the EU in 2018 (~$79B total). That represents a 10x increase since 1965. 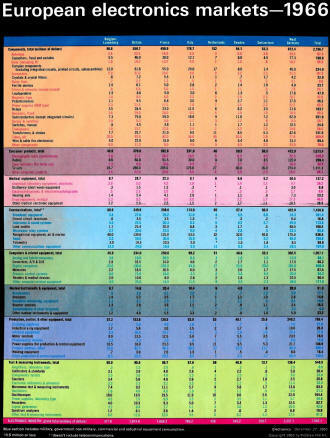 But wait, according to the Bureau of Labor Statistics' Inflation Calculator, $7.8 in 1966 is the equivalent of $61B in 2018, so in real dollars that represents a factor of only 1.3x. 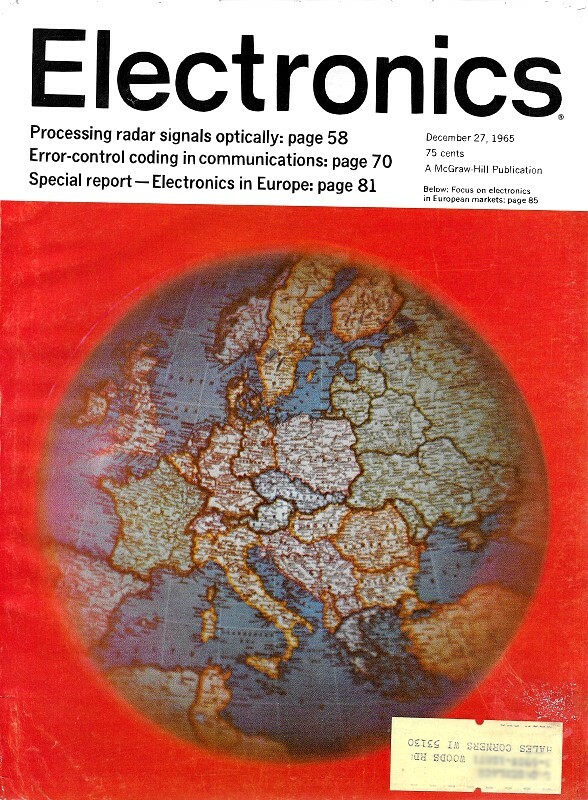 In the first detailed statistical compilation of electronics consumption in Europe, the editors of Electronics predict the industry will grow 10 percent next year, to $7.8 billion. 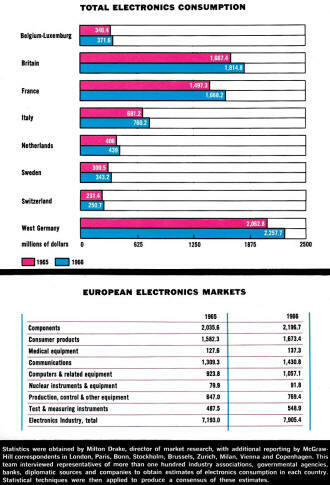 Consumer and industrial segments of the industry will grow the fastest; many countries expect a sharp decline in military electronics, which are already small in most countries, reflecting the completion of defense projects and the obstructionism of France in NATO.